Caring for your teeth and gums is not just about brushing or flossing. A huge bulk of maintaining utmost dental and oral health lies on the habit of visiting your dental care partners for consultation regularly. By seeing your dentist more frequently, you can ensure that your teeth and gums are absolutely clean and perfectly healthy. However, this is a habit that is not as popular as it should be. 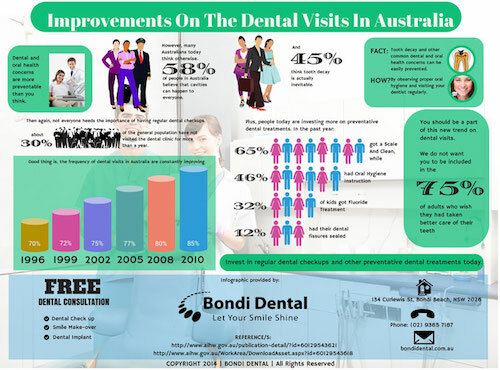 A lot of Australians tend to postpone or even forego going to the dental clinic. Now this can be due to a number of various reasons, including the inability to perceive that there is an actual need to see a dental health professional. 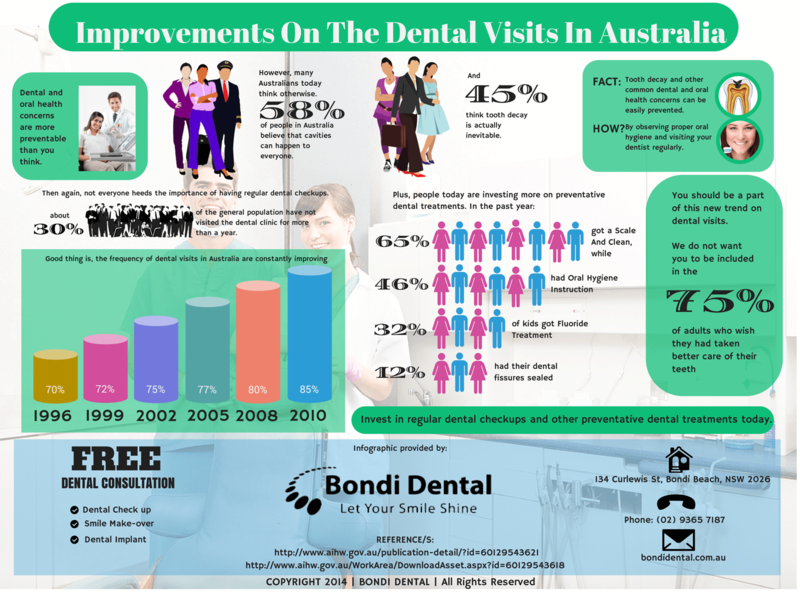 Then again, on a positive note, the trends on dental visits here in Australia have been constantly improving since the last decade. This merely indicates that more people are now much more informed and a lot wiser when it comes to their dental and oral wellness. For comprehensive regular dental checkups and expert guidance on keeping your teeth and gums healthy, consult your trusted Bondi dentist. Here at Bondi Dental, we aim to let your smile shine. That is why we provide you with effective dental treatments for the dental and oral wellness of your entire family. Call us today on (02) 9365 7187 or book your appointment online to claim your FREE Dental Consultation.